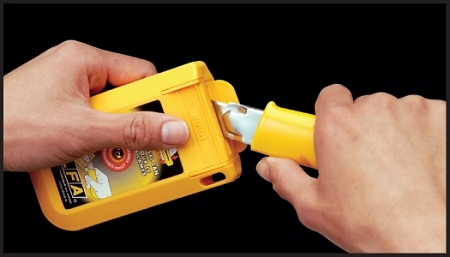 Safely dispose of used blades with this convenient blade case. Features a screw safe system that prevents blades from accidentally falling out and a simple press and release operating system to ensure the blade slot is only exposed when in use. 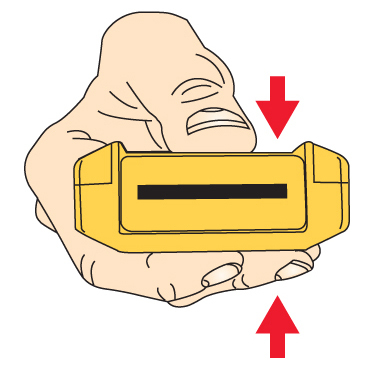 Conveniently fits in a back pocket, toolbox, or workstation. Loop hole and peg hole for hanging. Reusable. Safely dispose of A1160B, AB, ABB, ABS, HB, HBB, HOB, LB, LBB, LH, RSKB and SKB Blades. 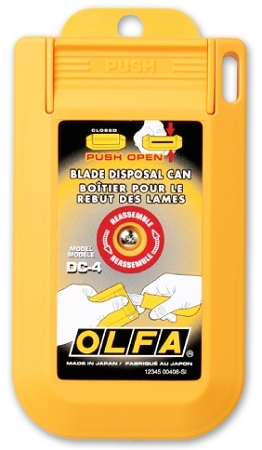 DC4 Blades disposable cans are sold in multiples of 6.